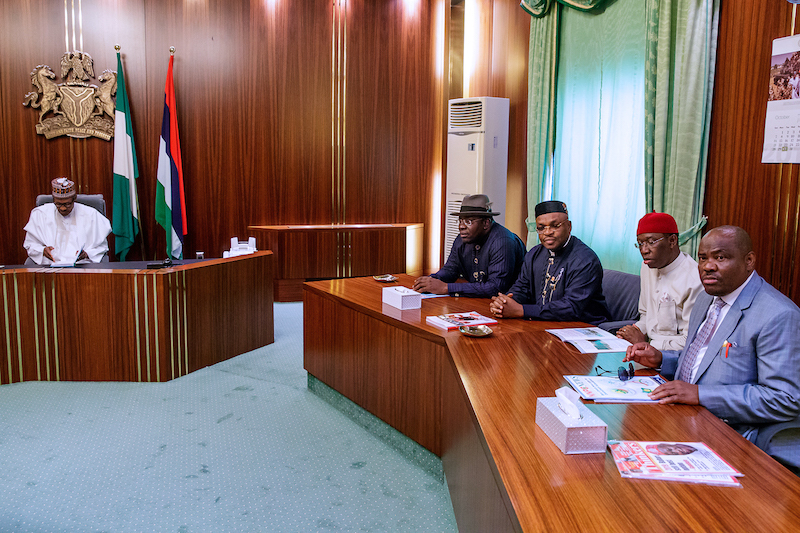 President Muhammadu Buhari yesterday in the Presidential Villa held a closed-door meeting with four of the six South-south governors. The meeting which held between 3 and 4p.m., was attended by Governors Nyesom Wike (Rivers), Seriake Dickson (Bayelsa), Udom Emmanuel (Akwa Ibom) and Ifeanyi Okowa (Delta). After the meeting, Dickson who spoke on behalf of the governors, failed to disclose the purpose of the meeting. He also failed to give insight into discussions in the meeting. Instead, the governor said they only came to see the president over what he described as pertinent issues about Nigeria and the Niger Delta. He was, however, swift to add that the meeting had nothing to do with party matters. However, THISDAY sources that were privy to the meeting said it was to discuss the debilitating effect of Nigeria National Petroleum Corporation (NNPC) huge spending on petrol subsidy on the derivation that should accrue to the oil-producing states. According to the sources, huge subsidy payment, which were being made before oil proceeds are remitted to the Federation Account, were adversely affecting the 13 per cent derivation that should accrue to the oil-bearing states. 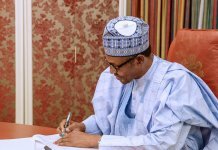 The sources said Buhari told the governors that he would look into the matter, pointing out that it was a sensitive matter that needed a careful consideration. As at August this year, the national oil corporation’s subsidy had risen to N3billion daily. Another THISDAY source said a recent Supreme Court landmark judgment, which had ordered the federal government to adjust its share of proceeds from the sale of crude oil whenever the price exceeds $20 per barrel might have also been discussed. 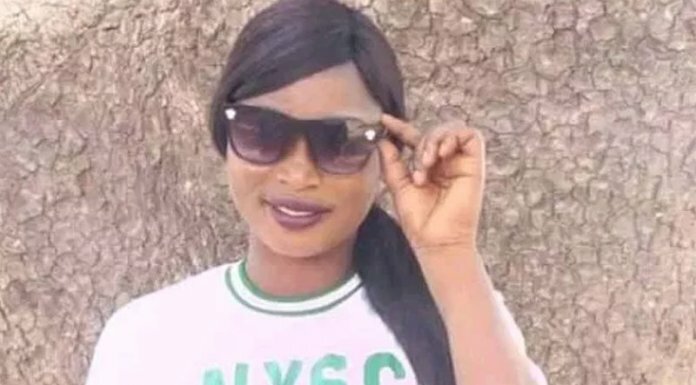 This belief was spurred by the invitation of the Attorney-General of the Federation and Minister of Justice, Mr. Abubakar Malami, to the meeting after it had taken off. The Supreme Court had on October 18, ruled on a suit brought by the Attorneys-General of Rivers, Bayelsa and Akwa Ibom States on the terms of settlement between AGF and the plaintiffs. 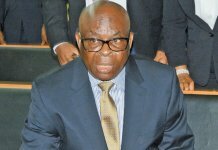 The seven-man panel of the Supreme Court led by the Chief Justice of the Federation, Justice Walter Onnoghen, had in a unanimous judgment, ruled that 13 per cent derivation accruable to oil producing states should be paid upon recovery as provided for in Section 162 of the 1999 Constitution (as amended). The plaintiffs, that is, the Attorneys-General of Akwa Ibom State, Mr. Uwemedimo Nwoko; Bayelsa State, Mr. Wodu Kemasukde; and the Rivers State, Emmanuel Aguma (SAN), now deceased, had in November 2017 sought the apex court’s interpretation of Section 16(1) of the Deep Offshore and Inland Basin Production Sharing Contract Act in suit number SC964/2016 filed on their behalf by Mr. Lucius Nwosu (SAN). This section places an obligation on the federal government to adjust the shares of crude oil revenue accruable to the federation whenever the price exceeds $20 per barrel. The plaintiffs had asked the court to determine if the federal government was not obliged to abide by the provision of the constitution as the grund norm of the land. Accordingly, the matter was resolved in their favour as the eminent jurists asked the federal government to accordingly adjust the sharing formula once the price of crude oil exceeds $20 per barrel. In a swift reaction to the judgment, Dickson had through his media aide, Fidelis Soriwei, praised the apex court for its courage to uphold the tenets of the constitution, saying it had further rekindled the confidence of the people of the Niger Delta whom he said had been deprived of their rights, in the judiciary. It was therefore believed that the meeting was meant to work out the modalities for the new sharing agreement. Meanwhile, a new report by the Nigerian National Petroleum Corporation (NNPC) has revealed that between May 2017 and May 2018, Nigeria earned $47,257,178,735 from crude oil, representing an increase of $13,112,090,598 from the $34,145,088,137 the country earned between May 2016 and May 2017. This is coming as the corporation has also clarified that even though it has been bearing the high cost of importation of petrol as the sole importer of the product since October 2017, it has no plan to review upwards, the N145 per litre price of the commodity. The NNPC in a summarised copy of its June 2018 monthly operations and financial report, which THISDAY in Abuja sighted yesterday, disclosed that the money was the value for 774,166,187 million barrels (mb) of crude oil that was produced from oil fields. The figures, production and revenue, were, however, different from what was recorded by the country between May 2016 and May 2017. According to the corporation’s records for May 2016 and May 2017, oil production was 685,800,421mb, with the accrued revenue amounting to $34,145,088,137. The NNPC explained in the June 2018 report which also showed a difference of about N11 billion in its trading profits between the months of May and June 2018, that the $47,257,178,735 earned was however shared between the Nigerian government, International Oil Companies (IOCs) and alternative financing (AF) entities. The NNPC’s report which is yet to be published on its webpage, came at a time the corporation said the federal government has no plans to review the pump price of petrol it currently subsidises in the country. In the report, the corporation indicated that the federal government within the period got $14,991,801,512 as its share of the oil revenue from 247,413,205mb of oil it lifted as against $10,980,402,262 it previously got for the same period from lifting 220,199,527mb of oil. 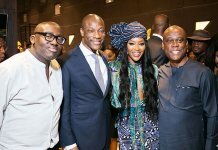 The IOCs, which included independent producers and NNPC’s subsidiary – the Nigerian Petroleum Development Company (NPDC), got $30,354,101,114 as their share from lifting 497,817,456mb of oil, different from $22,681,908,242 they previously got from lifting 445,983,713mb of oil. For AF entities, the NNPC report stated that they got $1,911,276,109 from their lifting of 28,935,026mb of oil for the period which is different from $482,777,634 they got from lifting 9,617,181mb of oil between May 2016 and May 2017. The NNPC’s report also indicated the corporation recorded a trading surplus of N7.17 billion which was N10.97 billion less than the N18.12 billion it said it recorded as profit in the previous month of May 2018. NNPC in this regards blamed the decline in oil production and liftings of NPDC for the revenue shortfall. Meanwhile, the NNPC in a statement from its Group General Manager, Public Affairs, Mr. Ndu Ughamadu, has stated that the federal government has no plan to review prices of petrol either downwards or upwards. Ughamadu added that despite the fact that NNPC, since October, 2017, had been the sole importer of petrol into Nigeria, bearing the associated burdens, it had no plan to review the market prices of products for now. He thus cautioned people he described as rumour mongers to be wary of the impacts their acts could cause on prices of petroleum products especially petrol as the festive period draws near. According to him, if not checked, the insinuation of unsubstantiated price review could lead to artificial scarcity and hoarding of products by consumers which in turn may result in unwarranted queues and suffering of Nigerians at fuel stations. He further asked members of the public to report to the offices of the Department of Petroleum Resources (DPR) nationwide any station which sells petrol above the N145 per litre recommended price, saying the DPR had the mandate to monitor and regulate activities in the industry. Ughamadu said the recent statement of the corporation’s Group Managing Director, Dr. Maikanti Baru that NNPC had 37 days stock of petrol subsists, and that NNPC has mapped out strategies to ensure that Nigerians have a hitch-free festive period. Further, in another statement, Ughamadu, disclosed that NNPC’s shipping subsidiary, NIDAS Shipping Services, has got back into the business of international shipment of crude oil and petroleum products, seven years after falling out of reckoning in the global oil freighting trade. He said the re-entry of NIDAS into the global petroleum shipping business was in tandem with the ongoing strategic re-engineering of some NNPC subsidiaries to ensure multiple income streams and value addition to the corporation. According to him, as a first step to regain its market position, NIDAS has established a robust chartering and operation desk in its United Kingdom (UK) office to help it secure sea-going vessels from spot market and foster strong competitive edge. He explained that already, the company’s presence had begun to generate some positive traction in the international freight space as global tanker fixture’s report last week acknowledged the chartering of LRI tanker, MV Atlantica Bridge by NIDAS to load jet fuel from El Dekheila Port, Egypt for delivery to Nigeria for Duke Oil. The fixture report it said also captured NIDAS booking of tanker Res Cogitans to load Mercuria’s gasoline cargo for early-November loading from Europe’s ARA (Amsterdam-Rotterdam-Antwerp) region to Offshore Lagos. NNPC said that as part of strategy to ensure effective participation in the entire supply value chain, NIDAS would optimise right of first refusal offer in the NNPC annual crude oil term and Direct-Sale-Direct Purchase (DSDP) agreements with off-takers. It noted that under the terms of the deal, the off-takers are obligated to offer the NNPC shipping subsidiary the right of first refusal in freighting of cargoes, adding that the long-term aspiration of the company is to own and operate fleet to secure a significant market share in the global shipping market.